THE GOLEM: HOW HE CAME INTO THE WORLD (1920). Later in the same year of THE CABINET OF DR CALIGARI came this equally classic German horror film from fellow Expressionist Paul Wegener. 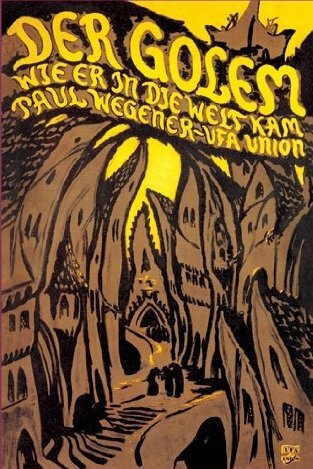 THE GOLEM: WIE ER IN DIE WELT KAM was the third in a trilogy of Golem films made by and starring Wegener as the titular creature. 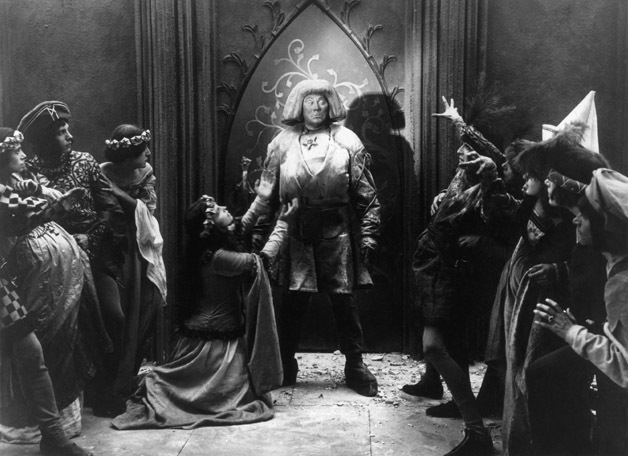 The bad news is that this is the only one that survived; the good news is that it’s regarded as the best of the three as after the original THE GOLEM in 1915, the second, THE GOLEM AND THE DANCING GIRL (1917) was a comic parody of the mythology. The same distorted sense of perspective in the environment is used as in DR CALIGARI, here applied to medieval Prague, its distinctive ghetto sets designed by architect Hans Poelzig. The houses almost teeter top-heavily over the streets to add to the uneasy oppressive air of the world in which the Golem is urgently summoned. The plot is told in five chapters to add to its dramatic weight. The atmospheric focus on evil spirits in the plot is also a perfect vehicle for Expressionist ideas. The name Golem in Hebrew literally means ‘shapeless thing’. In Jewish mythology it describes a clay figure brought to life by magic whenever the Jewish people are under threat. In the opening of the film, the people’s elder and sorcerer, Rabbi Loew, foretells from the stars “a terrible misfortune will befall the Jewish community”. Sure enough, the Holy Roman Emperor issues a decree the next day expelling all Jews from the Ghetto. In Chapter Two, while the bringer of bad tidings, the Knight Florian, begins privately wooing Loew’s daughter Miriam, Loew desperately seeks salvation in the Occult. He first builds a huge clay human statue of their intended saviour as described in his tome Necromancie. Then, with the help of his assistant, he uses a spell to summon “the crucial life-giving word from the dread spirit Astaroth”, an eerily effective severed head that breathes smoke curls and an animated secret word. The invocation scene is strikingly achieved with a ring of fire surrounding Loew and balls of flame circling him as he chants. It is an image that will reoccur in other Expressionist movies such as the calling up of Mephistopheles in FAUST and the pulsing rings of electricity activating Rotwang’s robot Maria in METROPOLIS. Loew’s password is then placed into an amulet called ‘a Shem’ to be fixed into the Golem’s chest. While ever he wears it, he will be activated to do his master’s bidding. Loew tests it, causing his servant to take his first lumbering steps. Wegener’s Golem is an imposing sight. His tunic is padded and encircled with an enormously wide belt to accentuate his build. He wears huge cumbersome boots to add height - one of many details that would influence James Whale and Boris Karloff in their 1931 FRANKENSTEIN - and under long hair that is cut to squarely frame his face he has the solemn, forbidding expression of a disapproving mother-in-law. Chapter Three, ‘A strange servant’ sees the Golem fetching water from the well for a villager before being sent on his first official task, the somewhat ignominious job of going down to the shops. Without wishing to be sexist, this does add to the strangely masculo-feminine air he has; the hero of the Jewish people’s grave demeanour does look comically incongruous standing in the store with his basket and list. It isn’t long though before the Golem is allowed a more befitting role, beginning with instilling fear in the court when he is presented to the Emperor at the Rose Festival. The ruler asks for even more impressive feats from Rabbi Loew, who obliges by projecting images of the Wandering Jew, Ahasuerus onto a wall. Unfortunately the sight of the mythical leader causes the court to laugh. Suddenly the palace begins to quake around them in retribution, and the Emperor is forced to swear freedom for the Jewish people in return for the Golem protecting him from the crumbling ceiling. Chapter Four opens with an unnerving hint at what is to come when the Rabbi decides to de-activate his now unnecessary slave. The Golem’s angry self-preservation almost prevents him doing so. Loew is warned that a portentous planetary alignment may mean“…the lifeless clay will turn against its master intent on deceit and destruction”. His plan to smash the inert clay to pieces with a hammer is interrupted by a call to the synagogue to give thanks. Outside, the resulting relief from expulsion transforms the unwitting townsfolk into joyous celebration. This however is not shared by Loew’s assistant whose secret thwarted feelings for Miriam are enraged at overhearing her canoodling with Knight Florian. He in turn transforms the Golem into a battering ram of murderous intent at his behest to break down the door and cart Florian off to be tossed mercilessly from the roof of Loew’s study. Now that the statue has a taste for mayhem instead of supermarket bargains, he sets the room ablaze and runs amok in the town, dragging Miriam away by the hair. The thanksgiving prayers of Rabbi Loew are interrupted at the top of Chapter Five by the cowardly assistant warning him that his house is burning down. Once Miriam is safe, the self-serving young sneak asks her forgiveness, contenting himself that “As no-one suspects anything I shall remain silent. Miriam’s PTSD seems to have her overlook his less eligible qualities. THE GOLEM is a powerful and rich visual tale full of Expressionist themes even if the passionate acting style is a touch over-wrought at times. Playing the title creature, Paul Wegener earned a place in the Horror Hall of Fame for inventing one of the earliest horror film monsters who would have repercussions well into the sound era. 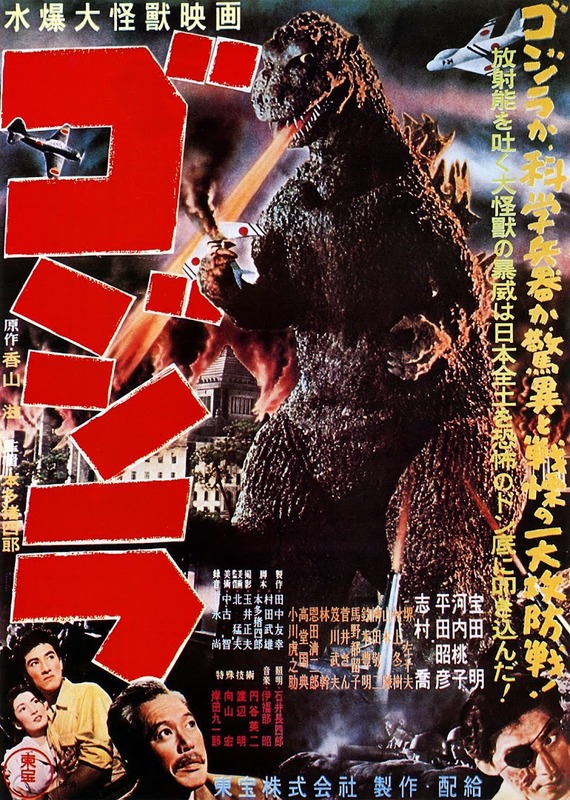 Another tendril connecting to later acclaimed genre movies was THE GOLEM’s director of photography Karl Freund – he would later go on to photograph METROPOLIS as well as direct THE MUMMY for Universal and MAD LOVE.